It's time to put away the swimsuits and sandals as summer has now come to an end. The kids are back in school and for those of us that work with children, it's time to get back to work! I already started making room in my closet for chunky sweaters and long-sleeved shirts. 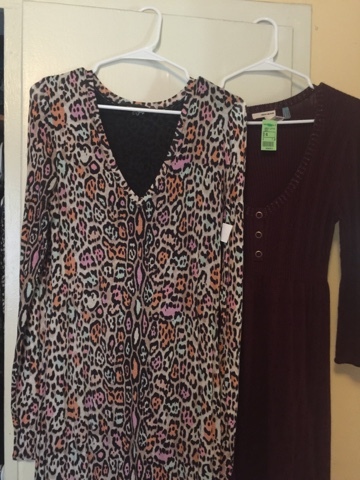 As I look through my closet, I would like to share with you some of my must have fall accessories. For those nights out on the town and classy dinners, you must have a nice leather jacket. I happen to own three of them. I paid $200 for one of them which I purchased at Kohl's while the other two were purchased at a thrift store for $4 a piece. It was a steal as they are both real leather. 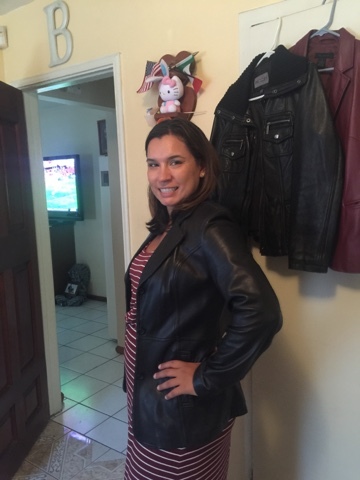 My favorite jacket has to be the burgundy colored leather jacket from The Limited as it goes great with jeans, skirts and dark colored dresses. I'm always on a budget so buying the right jackets took me a couple of years. I would recommend that you take your time purchasing a leather jacket if you don't already own one. It can get pricey if you want it brand new. My best friend swears by leggings and likes to wear them year round. The reason she loves them is because they can instantly diminish 10 pounds. They make you look a lot thinner than wearing a loose dress for example. 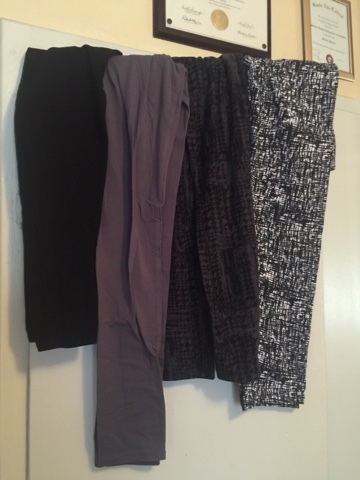 I recently purchased two pairs of leggings at Burlington Factory store and they cost me $5.99 and $7.99 each. The brand name is French Laundry and they were an easy purchase because the price was reasonable. They also made me look thinner instantly. I already own two pairs of black leggings and a gray pair that I purchased at Cotton On last year. My best friend says if you double them up, you can add more protection and they won't be as see through if that is a problem. That's why I purchased two black pairs. In case I get insecure, I can double them up. I really went wild this summer purchasing flats for the fall. If you work at a school like myself or are always on your feet at work, then you must purchase a few pairs of flats to make it easier on your feet while at work. 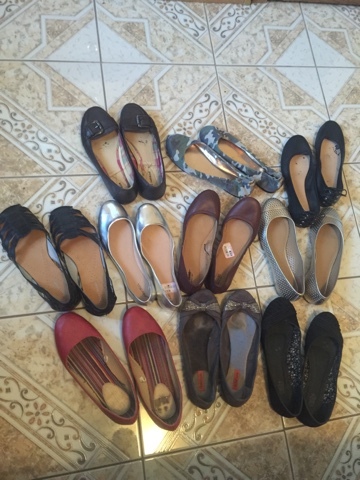 The Goodwill had some great sales on flats this past summer season and now I have enough flats to last me a whole school year and maybe longer than that. My army printed flats and silver colored flats are my absolute favorite. You can wear them to work with some slacks, a dress or a skirt. You can even get away with wearing them with jeans on casual Friday. I wouldn't recommend wearing them on a date since some guys love women in heels and that shows off your more sexier side. Leave the flats for work. That's what I think anyway. I went to Las Vegas a couple of years ago during November and was ready to go on a date with someone I had recently met there and I immediately pulled out some chunky sweaters to wear with jeans and heels. My friends stopped me immediately and called me grandma for wanting to wear a chunky sweater on a first date. 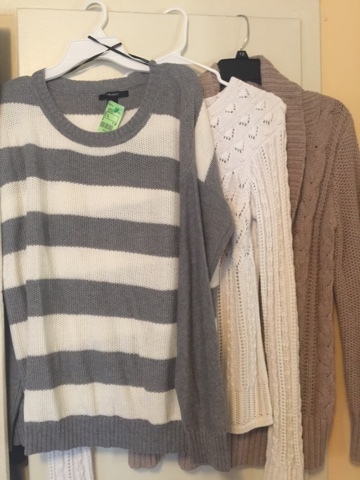 Although I did agree with them and wore a nice tank top instead with a leopard cardigan, I still can't stop loving my chunky sweaters for the fall season. I wouldn't recommend them on a first date, but you can wear them on a second and third date. They go great with a nice pair of jeans and you can even be sporty with them and wear some sneakers like a nice pair of Converse. I love Converse shoes so much that I match them with my chunky sweaters every year. Chunky sweaters are great for any occasion, just not that first date. This is my absolute favorite piece of clothing to wear for the fall season. You can pair them with a nice pair of leggings underneath or with a nice scarf depending on the weather. I own about six sweater dresses which I bought on a budget at different places like the Goodwill, Savers and the Salvation Army. Unfortunately, I have gained some weight this past year so I don't always feel like trying to fit in a snug pair of jeans. For those days when you just want to throw on a dress and not think about whether you are going to fit in your jeans, then throw on a sweater dress! I would recommend wearing a dress for that Thanksgiving dinner when we all tend to eat a little more than usual. In conclusion, I would add that being creative with your wardrobe can really take some pounds away such as wearing leggings or sweater dresses. It's not summer anymore, so there's no pressure to fit into that bikini anymore, but don't think you can just eat and not care. As we get older, it's important that we take care of our health as well. I hope you can continue to look and feel great throughout this fall season. Stay tuned: For the winter I'm already thinking of cute scarves and the New Year's dress every girls looks for that's perfect for a fun night out. Stay tuned and keep your eyes open for winter season as it is just around the corner. It's never to early to start shopping for a nice pair of boots as well. Happy hunting! Very practical and useful blog piece, Belinda. Thanks Krystle! Hope you enjoyed it.